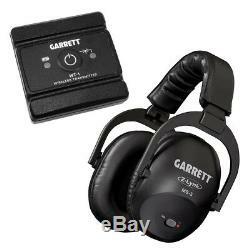 Garrett Pro Pointer AT Z-Lynk Pinpointer with MS-3 Wireless Headphones Kit. Carry Bags, Pouches & Covers. 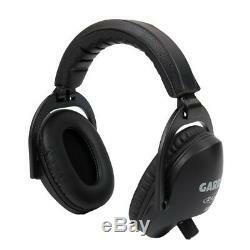 Garrett Pro Pointer AT Z-Lynk, MS-3 Z-Lynk Wireless Headphones, with Built-In Z-Lynk Receiver and Included Transmitter for High-Fidelity Audio. 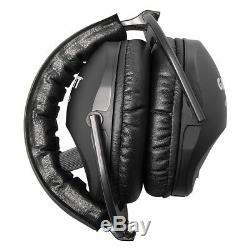 Comfortable ear cushions and adjustable headband guarantee a comfortable fit for every head size. 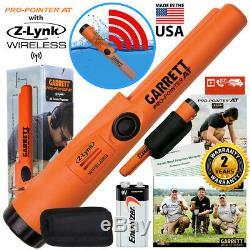 Worry no more with Garrett's Z-Lynk wireless kit! 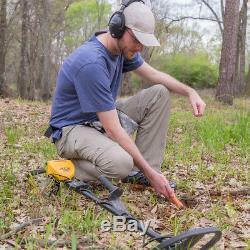 Works with most metal detectors. Hear both your detector and pinpointer in your headphones, even in noisy environments (beaches, high winds, congested urban areas). Pro Pointer AT Z-Lynk Pinpointer. 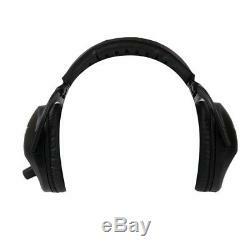 Garrett MS-3 Z-Lynk Wireless Headphones. 2-pin AT connector to Micro USB cableconnects AT detectors to transmitter. 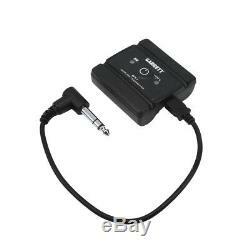 1/4" Jack to Micro USB cableconnects detector with 1/4" jack to transmitter. 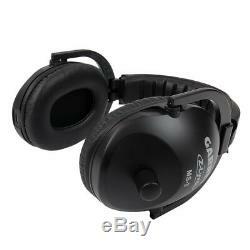 Adjust signal levels to suit individual hearing requirements and to enhance weak signals. Comfortable headband and ear cushions. Folds down for easy storage. Frequency response: 30-18,000 Hz. 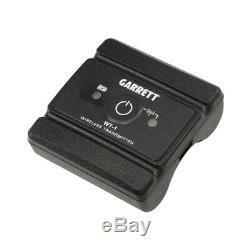 One-Press Syncing to Garrett Z-Lynk wireless receivers. 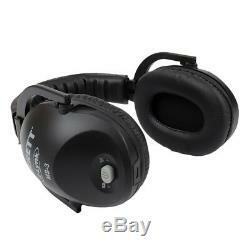 Wireless Convenience : Hear both detector and pinpointer alarms in your headphones, even in noisy environments (beach, high winds, congested urban areas, organized hunts). 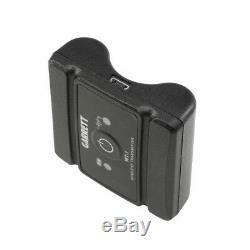 Fast Retune: Quick button press instantly tunes out environment or narrows detection field for precise pinpointing of larger targets. Retuning allows user to quickly. Shrink detection field to precisely pinpoint large targets. Tune out mineralized ground, wet beach sand, etc. Help identify edges of large target. Pinpoint multiple targets versus one large target signal. Single-button operation for Power, Retune, Sensitivity adjustment (3 levels), and Silent Mode (vibration only). LED Flashlight for low light uses. Lost Pro-Pointer Alarm: After 5 minutes with no button presses, the pinpointer emits periodic warning chirps. Automatic power off after 5 minutes of warning chirps; saves batteries. Simple, single-button operation for Power, Retune, Sensitivity adjustment, and Stealth Mode. Ruler in Inches and Centimeters molded into side of pinpointer to judge target depth. Lanyard Attachment Loop molded into side of pinpointer. New power button is easy to operate even with gloves. Patented proportional audio and scraping blade to sift through soil. Patented scraping edge for searching soil. Twice the battery life of other pinpointers with LED lights. Pinpointing tip and 360° detection area. Includes woven belt holster and 9-volt battery. 4ºF (-20ºC) to 130ºF (54ºC). 20 foot (6 meter) maximum depth; IP 68. Length: 9 (22.9 cm). 1.5 (3.8 cm) tapered to. US 7,575,065; D583,261. Listings for USED Items / Auctions. You have nothing to lose! 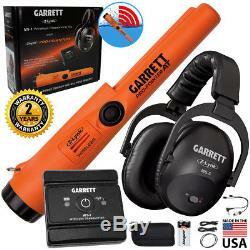 The item "Garrett Pro Pointer AT Z-Lynk Pinpointer with MS-3 Wireless Headphones Kit" is in sale since Thursday, May 24, 2018. This item is in the category "Business & Industrial\Test, Measurement & Inspection\Test Meters & Detectors\Metal Detector Accessories". The seller is "serious_detecting" and is located in Ypsilanti, Michigan. This item can be shipped to United States.